Successive governments have continually refused to give the 50,000 families in Fathers4Justice a voice by denying us any representation whatsoever. In fact, the last Justice Committee hearing in 2012 didn’t hear oral testimony from a single father. All MP’s seem interested in are listening to the voices of the vested interests. And whilst the government has made some token changes to the wording of the legislation surrounding the family justice system, the same injustice remains. The government has said fathers have no rights and deserve no rights in law to see their children and are not fit to share in the parenting of their children. 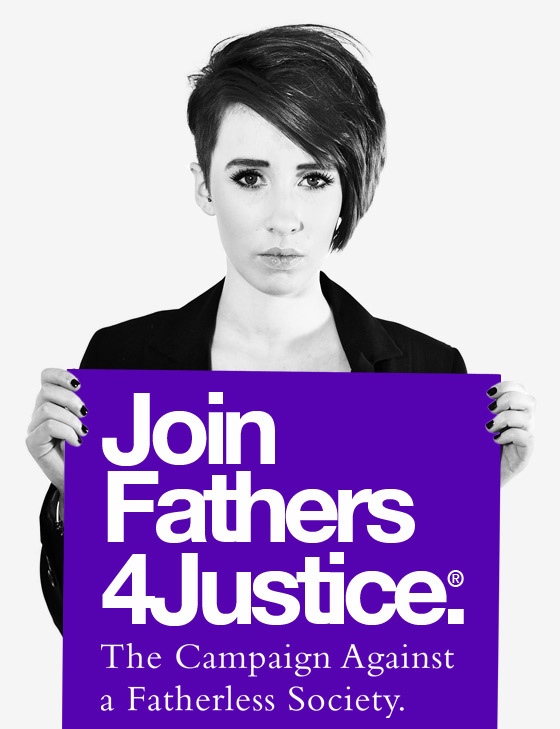 Families are still being separated in secret courts by an unelected, unaccountable and unsackable judiciary operating in complete secrecy and Child Support legislation still reduces fathers to the status of cashpoint, not carer. What’s worse, the government and courts say they act in the ‘child’s best interests’ yet have kept no records on the outcomes for children to substantiate this claim. If that is the case, then why are 1 in 3 children fatherless? MPs need to know how you and your family feel and that they need to make a change. Write to yours here asking them if they support equal parenting and if not why? Enter your postcode to get started.